Coming from a small, local scene, Tom Vague was used to rubbing up against all kinds of subcultures. In Salisbury, there was a mix of hippies, posers and punks, who, when they banded together, 'had to avoid bikers, Teds, rockabillies, squaddies, smoothies, etc.' There's an inclusive nature about the early Vague's which is very different from London's elitism. This translates into a freshness which makes the descriptions of Tom's prolonged road trips - following the Ants, the Death Cult, Xmal Deutschland - highly readable. He is open to experience. One of the most shocking things to come out of this account of the early 1980's is the level of violence: full-blown audience fights in Cardiff, in High Wycombe, or at the 1980 Stonehenge festival. As Vague notes in issue 2, on a visit to London: 'everyone seemed to be in a pop sub-cult. At this point there were the various punk factions; from arty post-punk to retro-lovable spiky top; Rasta, rude boy, Ted, rockabilly, mod revivalist, skinhead, heavy metal headbanger and old hippy.' Several of these were at war with themselves and each other, all at once. 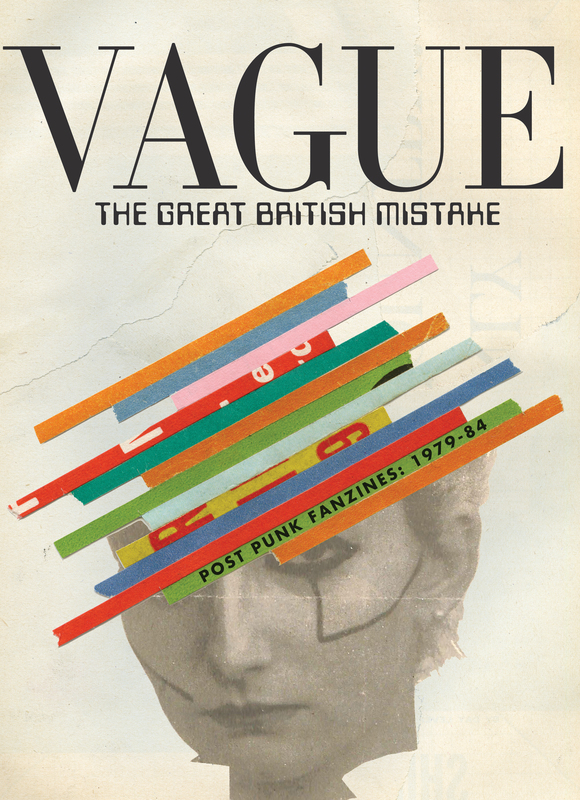 After Vague number 15 (June 1984), Tom Vague concentrated on perfect bound, themed 'annuals' that went into a whole strain of gnostic knowledge: the Situationists, Psychic TV, JFK conspiracy theories, William Burroughs (16/17); "Videodrome", the Occult Roots of Nazism, Jack The Ripper and post-Pistols situ pranksters God Told Me To Do It (18/19); Stewart Home, Red Army Faction and an "Apocalypse Now" type cartoon story "Vagrunts" (20). Issues 21>23 included contributions by Stewart Home, Jamie Reid, and Ralph Rumney. The magazine's orientation matched the changes in its editor's life. By then Tom had relocated to London, and by 1984 was deep in the capital's squatting scene: moving from Essex Road to Stoke Newington via Acton with a spell in Berlin and Hamburg - a way of life now impossible in Central London. Even so, he was weary of what he calls 'cider-drinking anarcho-punk squatters with dogs on bits of string': later in the decade, he moved to a Housing Assocation flat just off the Portobello Road, near where the Westway and the Metropolitan line cast their shadow. In the early 90's, Tom shifted his focus again. In Issue 24, he published a long article called "West 11 Days of My Life". After two issues devoted to urban revolutionaries - Issue 26: Red Army Faction and Issue 27: The Angry Brigade - he published a series of terrific pamphlets on the Notting Hill area: most notably Issue 29 "Entrance To Hipp" (the title referencing the race course, the Hippodrome, that had dominated the area in Victorian times) and issue 30, "London Psychogeography: Rachman Riots and Rillington Place". Inside the latter, I've found an A4 sheet no doubt inserted by Tom. Entitled King Mob Echo: 68/98 No Brit Popery" it's a collage of articles about Damon Albarn: buying a £350,000 house in Kensington Park Road, getting attacked in a Portobello Road pub. Gentrification had begun, sent into hyperspeed a year later by Richard Curtis' dreadful rom-com, "Notting Hill". That was the end for Portobello: the inexorable property price rises that have seen this formerly bohemian area become Tory HQ. But cities are not static. These changes can be reversed. This collection of Vaguery has value. It reminds the reader that there was a time when pop music was all important: not just a New Sincerity Beard lifestyle but a cause that you would lay down your former life and follow. And then, once you'd opened that particular door, you'd go further into the attitudes that saturated the music you liked. What did anarchy mean? What exactly did the Situationists say? What happened if you drifted round London like the Lettrists had Paris 40 years previously? What history lurks in the bricks and under the pavements?